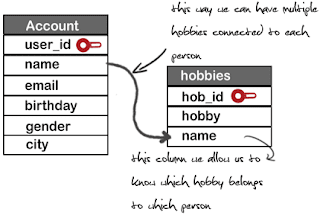 a database is a container that holds tables and other SQL structures related to those tables. An easier way to diagram accout table. 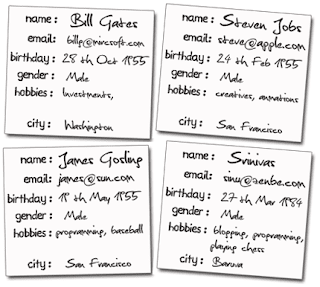 Add name colum that will let us identify which hobbies belong to which person in the account table. The problem we're trying to use name field to somehow let use connect the two tables. But what if two people in the accout table have the same name ? 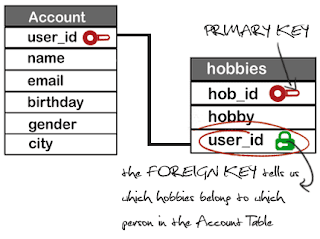 A foreign key can have a different name that the primary key it comes form. The primary key used by a foreign key is also knownas a parent key. the table where the primary key is from is knows as a parent table. The foreing key can be used to make sure that the rows in on table have corresponding rows in another table. Foreign key values can be null, even thugh primary key values can't. one question please how would i assign a foreign key automatically every time i add a new record? After making the database in this case, for example how do add values specifically to the hobbies field after making the table? 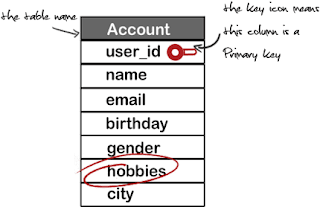 Sql Server is a relational database that means we can create relation like parent child using the combination of primary key and foreign key. A child can`t happen without parent same rules apply here like a table containing foreign key can`t keep data(in foreign key column) Which is not in its parent table (Primary key column). 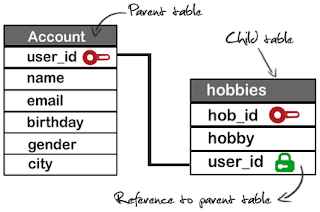 As we have already specified that main aim of introducing the foreign key in sql is to create a parent child relationship among the tables. 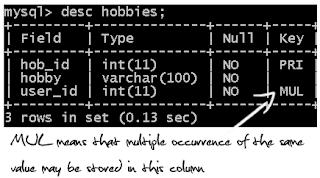 On delete cascade in sql server provide the facility to delete the data in child table when data is deleted on the parent table, so you no need to delete manually from all the child tables. 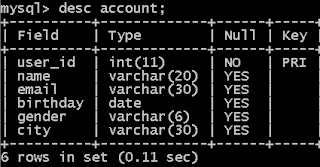 On update cascade in sql server Means update child data as well when data is updating in parent table. 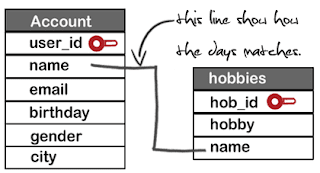 Very well explained but I think its better to add hob_id into ACCOUNT table as a foreign key. This way we dont need to write seperate record of hobby for every user. 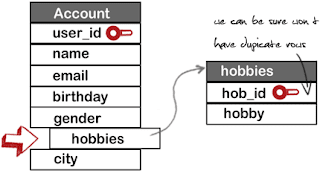 suggestion for comment above: if you would like to reuse the hobby for every user, it is better to use many to many relationship by creating a 'middle man' table which consist of only userid and hobbyid, because 1 user might have many hobbies, and putting hobbyid into account table would restrict user to have only 1 hobby.